Zac Bogart, president and CEO of Productive Robotics, says: “The Productive Robotics design and engineering team started building robots for movie special effects in the 1980s. 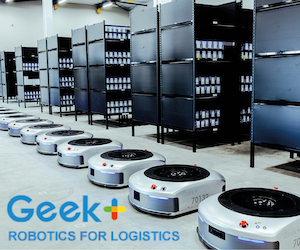 Building on the success of its OB7 cobot, Productive Robotics is introducing OB7-Max 8 and OB7-Max 12 to round out its full line of cobots. Each OB7 model can now be equipped with the human-like sense of vision, providing simpler, faster and more efficient robot training and operation. With OB Vision, OB7 automatically learns to recognize and pick up objects with a single button push. By the end of this year, OB7 will also be equipped with an improved sense of touch. OB Vision and any additional senses are based on Productive Robotics’ “no programming”, simple to teach platform. Productive Robotics broke into the collaborative robot market in 2017 with OB7 – the smart seven-axis collaborative robot. Its intelligence comes from Productive Robotics’ “no programming”, simple teaching platform – the user simply shows OB7 how to do the job and OB7 learns – providing customers with complete ease of use. OB7 offers ultimate flexibility thanks to its seventh axis. Like a human arm, seven joints give OB7 the flexibility and dexterity to reach around objects or obstacles where others can’t. Unlike a human arm, each of OB7’s joints can rotate 360 degrees in both directions allowing the cobot to work in more confined work spaces and areas that a six-axis robot can’t reach. 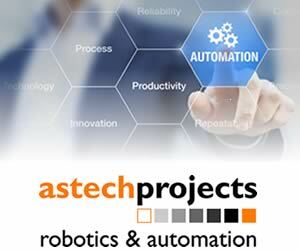 The Automate Show is co-located with the ProMAT Show, and Productive Robotics is at booth N6957.